Travelling to or from Mexico? My Baggage offers super fast, convenient and affordable luggage shipping services, allowing you to travel luggage free. My Baggage makes transporting all of your excess baggage to Mexico easy, either from USA or further afield. We remove all of the stress! We provide a low-cost and convenient door to door luggage collection and delivery service, helping you to save both time and money whilst you travel! Mexico is a country located between the United States of America and Central America, known around the world for its Pacific and Gulf of Mexico beaches and its diverse landscape of mountains, deserts and jungles. It is the fifth largest country in the Americas. 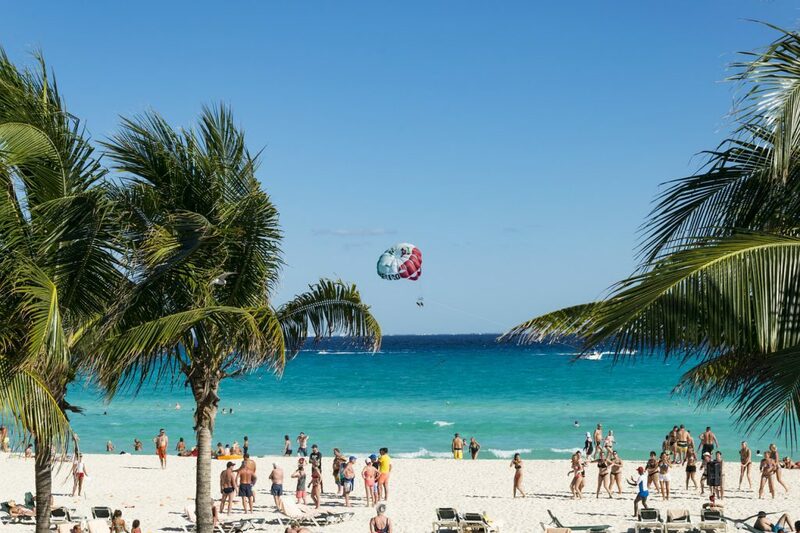 There truly is an abundance of reasons for visiting and even moving to Mexico: the people there are welcoming, the cost of living is relatively low, and buying real estate in Mexico is safe and easier than you would expect. And, because the country is so big and geographically diverse, it offers all kinds of favourable climates and stunning sceneries. If you plan on visiting Mexico, studying there, or even uprooting your life there, it is advisable to learn, or at the very least familiarise yourself, with Spanish. Mexico is the largest Spanish-speaking country in the world, and although English is widely spoken by those with a good education, learning Spanish will gain your respect and open doors. To send a care-package to a loved one in Mexico. Whether you’re travelling to Mexico to relocate with family or for work, to study abroad, to seek adventure, to enjoy a holiday or otherwise; My Baggage makes transporting your excess baggage there an easy process. My Baggage’s generous weight allowance and the fact you can send as many items as you like with us can come in particularly useful. Our convenient luggage shipping service allows you to bring many more possessions with you than if you were simply relying on a few checked pieces of luggage when flying. For this reason, My Baggage offers a welcomed, affordable alternative to airline baggage. My Baggage also offers a cost-effective alternative to traditional removals companies. Without a doubt, relocating to another country is an undeniably expensive process for many reasons. Thankfully, My Baggage allows you to cut your costs in one way, at least. It may be a much more affordable option for many people to sell or donate most of their large, bulky items (such as furniture) and ship only their most essential belongings with us. Do your search on Mexican quarantine and customs. 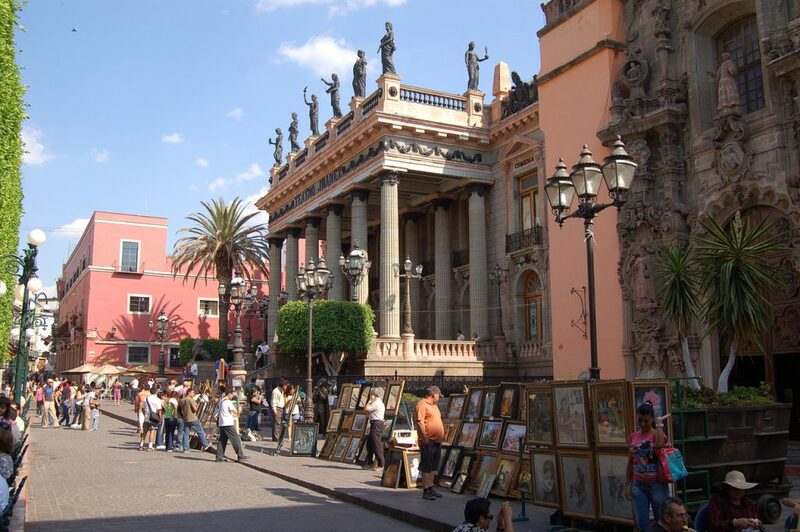 My Baggage allows you to ship personal effects to Mexico in a convenient and low cost way. We are experts in shipping all sorts of goods worldwide, our stress free service means you can get your goods to your chosen destination without having to do very much! Do you want to send goods to Mexico that exceed the size dimensions and weight allowance of airlines? You certainly don’t have to leave it at home when you can simply box it and ship it with My Baggage. Shipping oversized items to mexico with My Baggage is a door to door service which means a driver will pick up the items from your home address and deliver them to the door of your destination. Fancy exploring Mexico by bike? There’s nothing better than having your own stuff so why not ship your bike to Mexico? This is a popular and indeed a low cost way of exploring countries as you’re not having to pay for car or bicycle hire, which makes it that little bit more enjoyable knowing it hasn’t cost you too much. Please note: If shipping your bicycle with My Baggage, please dismantle it and pack in a strong, double walled cardboard box with the correct labels attached to it. Many happy customers visit their local bike shop to dismantle their bicycle in exchange for a small free. My Baggage can ship your sporting goods to Mexico and you don’t have to pay ridiculously expensive fees. Using one of our services means you can avoid expensive oversized baggage fees on airlines and still have fun with your own sporting equipment when in Mexico, with only a small price to pay. When shipping goods to Mexico, you are legally required to complete and send a customs declaration with your shipment. Whether you’re sending personal effects or a gift to a loved one; if your shipment does not have a customs invoice attached, it will not make it past your local country border, and you may have to pay return charges to get it back. My Baggage will automatically provide you with the appropriate customs documents for you to complete and attach to your shipment when you send your luggage to Mexico. Generally, My Baggage shipments clear customs in a timely manner, free from duties and taxes, as most countries offer a generous duty-free allowance for personal effects. However, as customs processes and allowances are different around the world, and because My Baggage has no control over any decisions made, we do advise doing your own research into Mexican customs regulations and quarantine before booking your shipment. Please make yourself aware of potential customs duties in Mexico. Shipments to Mexico with a declared value exceeding $300 may be subject to additional clearance procedures. Shipments of personal effects with a value in excess of $300 are more likely to be levied on duties and taxes. Please take the time to research this. My Baggage gives you the freedom to ship your personal belongings all over the world, meaning you can send almost everything you would typically find in a standard holiday suitcase. However, for security and customs reasons, there are certain items which are prohibited and cannot be carried, as is standard with most shipping companies. Please note that there are specific items which can be carried on our services, however, they may not be covered under our compensation cover and should be sent at your own risk. If you choose to send any non-compensation items, please ensure they are packaged appropriately, with plenty of internal packaging for any delicate items. Please note that import allowances, security and customs processes differ all around the world; we recommend that you do your own personal research into what may be prohibited in your destination country before booking your shipment to Mexico. When sending your belongings to Mexico with My Baggage, we recommend using either suitcases or strong boxes to package your items so as they are suitable for transit. Booking with My Baggage is easy. Our online booking system is available 24/7 and takes just a few short moments to complete. First, simply obtain an instant quote straight from our homepage. We give you the flexibility to choose your preferred collection date during the booking process. Then, once you’ve booked, we’ll send you some shipping labels to print and attach to your items. After that, sit back and relax as we take care of the rest. Transporting your luggage overseas can be a tricky task. Thankfully, My Baggage provides the ultimate convenience. Our easy to use online booking process is available 24/7, which means you can arrange everything from the comfort of your own home. Our door to door collection and delivery service means you don’t have to drop your items off at a drop-off point, nor will you need to collect them from a pick-up point at the other side. If you happen to have any questions or concerns along the way, our dedicated support team will be on hand to help. Thanks to many years of experience in logistics, they are experts in shipping baggage across the world. Contact us via phone, email and live chat. 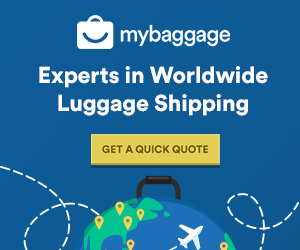 To give you that extra peace of mind, My Baggage will keep you up to date on the status of your shipment from the very moment you place your booking online, right up until the moment your luggage arrives safe and sound at your destination. You will be given access to full online luggage tracking information, allowing you to monitor the progress of your shipment every step of the way. You may also opt-in for text and email notifications. At My Baggage, we strive to keep our luggage shipping prices as low as possible. In fact, you could save up to 80% when you book with My Baggage instead of booking with the courier directly. We offer services to Mexico from as little as £118 per box or suitcase.